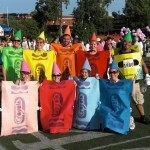 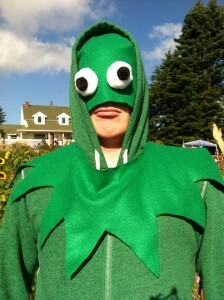 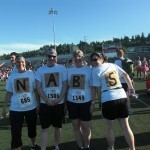 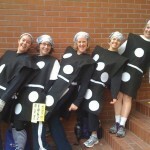 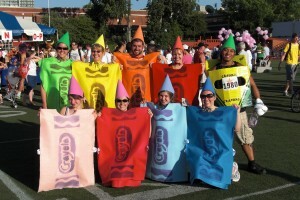 Check out the best group costumes from some past 5K races: Scrabble Tiles, 8 Crayons and a Box, and Dominos. 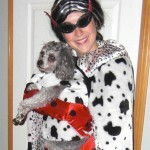 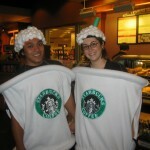 Here’s some of my favorite duo costumes: Cruella and her Dalmation, the Leopards, and the Starbucks cups. 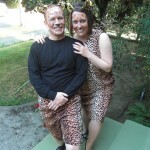 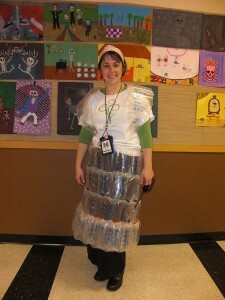 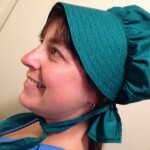 And a few other costumes using some unconventional materials.